Winemaking is an ancient craft in eastern Georgia. Indeed, Georgia claims that the region’s Alazani Valley was where man first mastered the grape some eight millennia ago. "Georgian wines face a tougher marketing challenge today. The plan? To brand every bottle: “Georgia: the cradle of wine”", - points out the author of FT article. The campaign has won the approval of EU, which has given it right to use the brand “cradle of wine” within the European Union exclusively to Georgia. "This may, however, be a mixed blessing. Emphasising its rich heritage is the obvious way for Georgian wine to make its mark in a highly competitive global market. But some consumers may more readily associate cradles with babies or bottle racks than the history of the Alazani Valley. This slogan may need more time to ripen", - notes "Financial Times". Before EU's recent decision, the brand "cradle of wine" belonged to a British company. 30.07.2012 (Hvino News). Inkerman, one of Ukraine's largest wine producers, is planning to export its wines to Russia under the Georgian traditional names "Saperavi" and "Rkatsiteli". According to article in Ukrainian Kommersant newspaper, on July 24th Inkerman filed nine applications for registration of trademarks with Rospatent (Russia's registration authority), including the names of wines identical to names of traditional Georgian varieties - "Saperavi Inkerman," "Inkerman Rkatsiteli" and "Inkerman Sauvignon-Rkatsiteli". "They have proved themselves in the Ukrainian market, so we decided to deliver them in Russia", - says CEO Andrey Strelets. - Deliveries will begin at the end this year or early next year". With the ban on Georgian wine to Russia marketers call this a successful move. It will be difficult to question Inkerman's claim, because the brand names refer to grape varieties, not to geographical places in Georgia. Inkerman is the largest exporter of Ukrainian wine. The company is well represented in the retail chains in Russia, where the market is much larger than Ukrainian. President of the Union of Winegrowers and Winemakers of Russia Leonid Popovich says that about ten Russian wineries also produce wine under names "Saperavi" and "Rkatsiteli." Production of other types Georgian wines is impossible neither to Inkerman, nor to Russian companies, as Georgia has patented their domains of origin as trademarks. 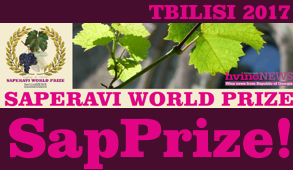 The only available names are "Rkatsiteli" and "Saperavi", because use of names of grape vareties cannot be forbidden. I’m quite sure that in a place like Georgia that has a 7,000 year tradition of winemaking, and is also likely the place in which the ancient, wild ancestors of the modern wine grape originally evolved, that there are scores, maybe even hundreds of old vineyard sites known to the locals as plots that produce truly extraordinary wine. Many of these sites are named with names unknown to me or any but the top Georgian wine experts and the hands that tend the vines…. There is however, one place in Georgia with a name known to many all around the world: Mukuzani. In the northeastern corner of Georgia is the Kakheti region, which is often considered to be Georgia’s greatest viticultural zone. Within Kakheti there is the Alazani Valley which contains Mukuzani, as well as a few handfuls of other celebrated regions with peculiarly exotic monikers like Gurjaani and Qvareli. 25.07.2012. Details of implementation of President’s idea regarding creation of a vineyard on Tbilisi airport’s territory are still unclear. Ministry of Agriculture refrains from commenting on this issue. As early as 2 weeks ago, Commersant approached to the ministry with the above-mentioned question, but still has not received the answer regarding the President's initiative. Last May Mikheil Saakashvili, while visiting one of the families, announced that the City Hall should allocate a land plot in the territory of the airport where a vineyard would be planted (read more here). According to Saakashvili, the territory will be illuminated at night in order for all tourists entering the country to see the vineyard. However, the land on which the vineyard must be built has not been allocated yet. Agriculture Ministry officials say that private sector must take an interest in the initiative and find the farmers to start vineyard cultivation in the territory of the airport. 24.07.2012. 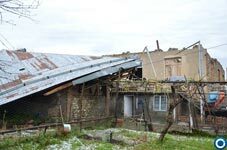 Wine companies are counting damage caused by disaster in Kakheti. According to "Kindzmarauli Marani", up to 10 hectares of vineyards have been damaged. Director General of the company explained to Commersant that hail destroyed up to 400 tons of grapes that makes 20-25% of the entire harvest. Dimitri Lebanidze notes, whether a loss will be reflected in production quantity and price will be known at harvest time. The disaster destroyed 60 tons of crops of "Shuchmann Wines". The company's management informs, that the damage will reduce harvest by 20%, but, nevertheless, they will have to buy a minimum amount of wine. The management predicts, against shortage of raw materials on the local market, wine price will rise sharply because the wine companies operating in the market will have to purchase grapes at a high price. 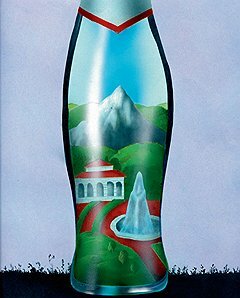 25.07.2012 (Hvino News) Construction of so-called "Chacha Tower Fountain" in Georgia’s Batumi will be concluded in September. Spanish and Georgian architects designed the fountain for tourists. It will have chacha, a strong Georgian drink sometimes defined as grape brandy or grappa, pouring instead of water once a week. "Once a week, for 10 to 15 minutes, chacha will flow from this fountain instead of water. Tourists will have an opportunity to taste the traditional drink," Mayor of Batumi Robert Chkheidze told Georgian television. Alcohol manufacturers would be able to advertise their drinks for locals and tourists. Dispensing alcohol will not be the only function of the minaret-like tower, to be completed this year. The 25-meter-tall structure will include an observation desk, pools (with no liquor though), a clock and a tourist information center. It will have a spiral ladder, and a gold-plated dome. The project is worth 810,000 lari. Construction company "Alazani" is developing the project. Please find attached an invitation to a Georgian Wine Day taking place on 30 July 2012 at 7 pm at the Georgia Olympic House on 45 Millbank. For 2013's Media Rating click here. 24.07.2012 (Hvino News). The first results and figures from the analytic report prepared by Hvino News, based on 3 months of its global media monitoring, became known. The first Media Rating of Georgian Wine Companies is now available. 21.07.2012 (Hvino News) Many private wine companies are concerned about Georgian government's plans to create state wine companies. It is still unclear when such companies will be set up. In accordance with the changes to the regulation of the National Wine Agency, along with the market monitoring, the agency can establish state wine companies. When this became known, Georgian Wines Association on behalf of the concerned winemakers from the private sector sent an official letter to the Ministry of Agriculture, where it expressed its position. Today, part of winemakers refrain from comments on this issue, while another part does not possess information about the changes in the regulations of the National Wine Agency. The chairman of Georgian Wine Association said she has no comment, as the Ministry of Agriculture has all the information on the project. Kommesant radio has failed to get an official comment from the Ministry of Agriculture. The National Wine Agency is a part of Ministry of Agriculture. This new state agency was recently established instead of former "Samtrest" - State department for vine and wine, but still has not got a director. 20.07.2012. Georgia’s Speaker of Parliament says the prime minister should decide whether opposition billionaire Bidzina Ivanishvili may be allowed to help reimburse losses suffered after yesterday’s storm. Ivanishvili’s opposition Georgian Dream coalition has offered to help villagers affected by the extreme weather. July 19, an unusually strong hail storm destroyed crops, tore roofs off houses, damaged communications and electric equipment in several regions of Georgia. Preliminary estimates indicate the damages are several tens of millions of lari. President Mikheil Saakshvili ordered his ministers to solve problems created by the natural disaster in Kakheti, a region in the east of Georgia and the most important wine district. 20.07.2012. The first time visitor to Tsinandali, reaching its outskirts from the southeast, may doubt its eminence as a wine town. On the right, a sprawling, rather unkempt cemetery. Just beyond, a bridge over the dried out, refuse strewn Doliauriskhevi River, an objectionable eyesore beyond which one must look across the Alazani Plain and even further east, to the haughtily unperturbed Caucasus Mountains, for relief. The town itself: sleepy, dusty, seemingly careless of appearances, not even tackily touristy. Another Kakhetian village seeming to face the world with its backside. New York World Wine & Spirits Competition is considered the most comprehensive competition for wines and spirits in New York. It is held in conjunction with The Bar and Wine Show. Judges from throughout the beverage industry rank the products according to established criteria, and winners receive Double Gold, Gold, Silver and Bronze Medals. 16.07.2012. 6 years ago when Russia closed the market for Georgian wines and mineral waters it hoped that the main sectors of the economy would be seriously defeated. But quite the opposite thing happened: embargo gave a powerful incentive to those fields to search for new directions and, as a result, they seriously stepped up. The Russian newspaper "Kommersant" writes. As for the Russian market, "the place of banned Georgian wine has long been occupied by competitors from other countries, while, how surprising it would be, no one has replaced "Borjomi",- the author of the article notes. The Russian edition recalls the official reasons for embargo, in particular the federation's Chief Doctor, Gennady Onishenko’s statement that "Borjomi" and wine quality did not meet sanitary standards. 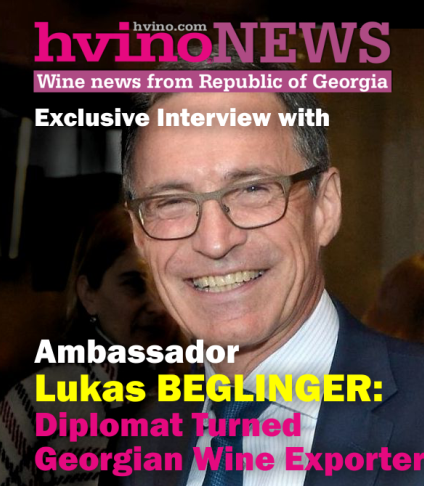 The journalist assesses, there is a deal of truth in Onishenko’s words and the Georgian side recognizes this problem in regard of wine. "Version of the wine, especially of the water quality problems, didn’t sound so convincing from the beginning, however, events confirmed the political background in the acts of the Chief Sanitary. Rolling green hills and the open expanse of lush vineyards dominate the panorama of the Alazani Valley. A wise man once said that the land of the gods is in essence, a vineyard between two mountain ranges. Since the legendary quest of Jason and the Argonauts to the land of Colchis, as this fabled land was known in antiquity, the Greek heroes discovered something more valuable than the coveted “Golden Fleece.” What they found was simply the best wine in the world. Wine is and has always been, what truly defines the Republic of Georgia. Today I am once again joined by my fellow sommeliers, Medea and Shorena. From our terrace vista, we have a lovely view of our hostʼs vineyards. Our table has been impeccably set to include an assortment of local fruits, goat cheese, and of course, lavash bread. “Grigol, we have selected three of your favorite sparkling wines from Bagrationi 1882,” Medea said assuredly. It was Prince Ivane Bagrationi Mukhraneli who first launched production according to French methods back in 1882. Today they can can proudly boast that they are Georgiaʼs leading producer of sparkling wines. “Excellent selection,” I smiled as I looked over the wines. “We shall start with the Classic Brut,” Shorena spoke with anticipation. On the way back to the city, in the deepening dusk we pass a typical new police station: a cube of glass, brightly lit inside. I see one policeman writing at his desk as we flash by in our green BMW, expertly handled by our professional driver. We are in the Republic of Georgia, in May, 2012, and the glass police stations symbolize the government’s new policy of anti-corruption and transparency. We’re driving back to the capital, Tbilisi, from the country’s top wine region in the southeastern part of the country. We’ve just spent the day in this wine region—called Kakheti—after tasting at several other wineries near Tbilisi earlier in the week. Kakheti lies along the edge of the Caucasus mountain range, north of Armenia and Azerbaijan. Just over the nearby mountains lies the Russian border and the bitterly contested area of Chechnya. We are sated from our dinner at Pheasant’s Tears winery, where, at a table set out in the lawn, we had a small feast including crunchy fresh salads, grilled-to-order meats and an irresistible platter of tiny new potatoes baked in home-made, roasted sunflower-seed oil and sprinkled with just the right amount of salt. With the music of a nearby students’ festival as background for our dinner, we also sampled the wines: red, white, dry and sweet, made from native grapes. These wines are exported to nine countries including the US, China and Japan—though the winery only makes 45,000 bottles a year, so the allotments are small. 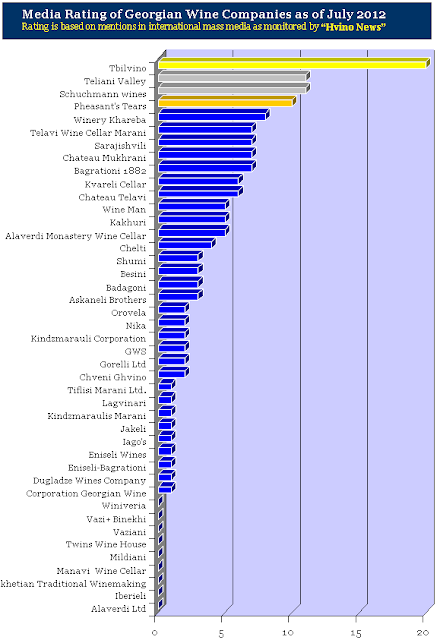 Currently, the total amount of quality Georgian wine that is exported to the US is very small. But this tiny country has stood on its own and ultra-modernized its thinking from independence through the current Chechnyan conflict, so don’t underestimate the determination that drives the Georgian wine industry. 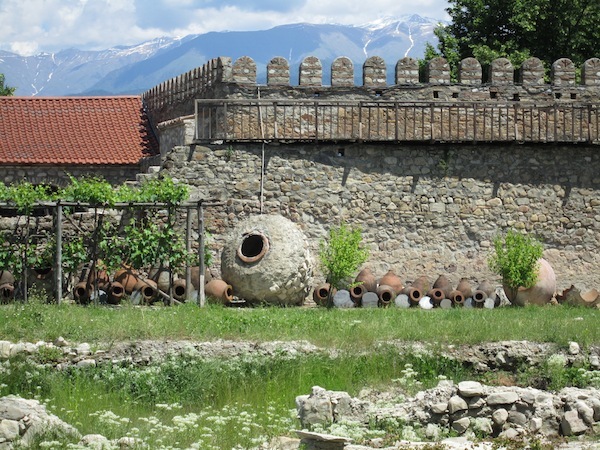 For most of the past century Georgian wines were behind the Iron Curtain. In the Soviet Union and Iron Curtain countries, Georgian wines were famous. 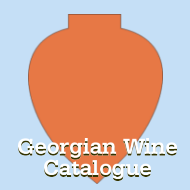 In fact, Georgia was the designated supplier of wines to the whole Soviet Union. Last week in Georgia I saw the cellars where the official wine stores of the Soviet leadership were kept: caverns blasted out of solid rock in the side of a mountain, with 8 kilometers (about 5 miles) of naturally-cooled tunnels lined with racks of wines, that took three years to build (1959-62). 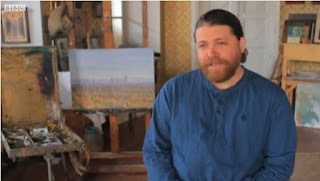 American artist John H Wurdeman was drawn to the former Soviet state of Georgia by the country's folk music. Sixteen years later he is still living there, immersed in a culture he says is full of tradition and emotion. Georgia is a place of "very real tears but also very genuine laughter", says the impressionist painter, 37, who trained at the Surikov Institute in Moscow, Russia. Wurdeman went to Georgia in 1996 and settled in the town of Signaghi, in the centre of the country's wine region. He lives there with his wife Ketevan and their two children and now runs a winery, Pheasant's Tears, dedicated to preserving Georgian wine culture. He tells the BBC about his passion for art and wine and why Georgians are more prepared to express emotions to strangers. 10.07.2012 (Hvino News) Brandy "Sarajishvili" received gold medals and grand prix at competition "Yalta. Golden Griffin - 2012", which was held July 1-8 in the Ukrainian city of Yalta. 200 wines and brandies from 16 countries were presented at the competition. 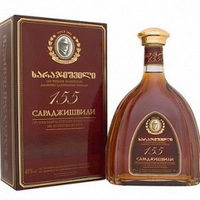 "Sarajishvili" presented three types of brandy: 8-10 years of aging "Sarajishvili VSOP", a 20-year old "Sarajishvili XO" and 70 year old "Sarajishvili jubilee". "Sarajishvili VSOP" and "Sarajishvili XO" were awarded with the gold medal, "Sarajishvili Jubilee" got the highest award of the competition - "Grand Prix". 07.07.2012. Georgia was synonymous with wine during the Soviet period. When the empire collapsed, wine producers were hit hard, and they didn’t really begin to make a serious recovery until now. Wine producers have high hopes for the reopening of the Russian market after Russia has become a member of the World Trade Organisation (WTO). The blue grape known as Saperavi only exists in Georgia and is considered to be the progenitor of several modern varieties of blue grapes. Teliani Valley, a wine producer, is included in the Bering Central Asia fund, which is also partially owned by East Capital's investment company, East Capital Explorer. "Russia was in a class of its own as the largest market, so its potential is really high," said David Östby, Investment Manager at East Capital and member of the Board of Directors of Georgia's largest wine producer, Teliani Valley. 06.07.2012. We introduce our readers to the Director and CEO of Chateau Mukhrani, who took over the legacy of Prince Ivane Mukhranbatoni and runs a successful wine business in the village of Mukhrani. Tediously inconvenienced by a generalship in service of Imperial Russia, Prince Ivane Mukhranbatoni took his sweet time getting into the wine business, though – in the view of Petter Svaetichin, Director and CEO of Chateau Mukhrani – it was “what he always wanted to do.”But upon retiring in 1881 the Prince swung into action, celebrating his first harvest in 1882. 06.07.2012. Georgian wine will be sold in India's major cities - Delhi, Mumbai and the resort town of Goa. As the Deputy Minister of Agriculture Ia Janashia told Georgian radio, “Tbilvino", GWS ", “Wineman”, “Telavi Wine Cellar, "Khorblis Tsremlebi" and "Alaverdi Monastery Wines " will carry out test sale in the Indian market. The first test order from the Indian entrepreneurs Georgian companies are expected in September. A large Indian company “Tania Group" provides distribution of the products. “Georgian wine export to India is gradually increasing, but it's still new and untapped market for Georgian wine producers. In 2011, "Askaneli Brothers" and "Tbilgvino" carried out export in India. But now we see a great potential that India will become growing market for Georgian wine in the long run, "- Janashia said. According to “Askaneli Brothers” founder Jimmy Chkheidze, only a meager volume of their products is sold in the Indian market, the company names Ukraine and Kazakhstan the most growing markets. “Tbilvino" also carries out a small volume export of wine in the Indian market. 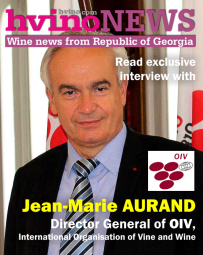 The company’s CEO George Margvelashvili notes that a period of popularization of Georgian wines in India is now beginning. Note: In March, the Bollywood delegation arrived in Georgia after which in June 12- member Indian group visited the capital. The group working on the wine topic included well-known journalists, representatives of the exporting companies, the chairman of hotels chain association, managers of famous supermarket networks and marketing specialists. 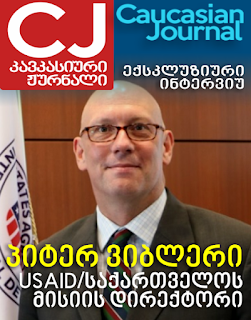 As the Deputy Minister explains in a conversation with us, the Georgian cheese and honey export to the Indian market is also planned, but Janashia notes that export of this type of products into the Indian market is governed by the laws of the country. 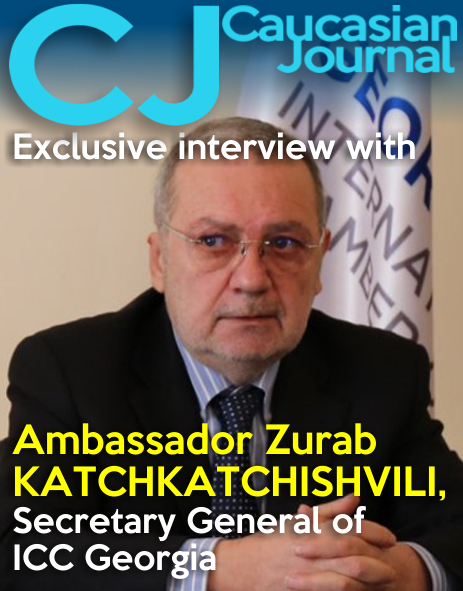 Therefore, Indian specialists will examine Georgian production first and after the appropriate conclusions it will be possible to hold specific negotiations. On June 26th Ia Janashia, Deputy Minister of Agriculture and Maia Sidamonidze, Head of National Tourism Agency met with leading Indian journalists, wine experts, managers and marketing analyst of famous Indian hotels and restaurants. Export potential of Georgian wine was the main issue of discussion at the meeting. During a one week tour, organized by the Ministry of Agriculture and the National Tourism Agency”, Indian guests visited famous Georgian wine and brand producing companies – “Winery Khareba”, “Bagrationi 1882”, “Sarajishvili”, “Chateau Mukhrani”, “Marani”, “Schuchmann Wines” and “Pheasant's Tears”. Visitors got familiar with local wine making technologies and tasted various Georgian wines. In the visit frameworks Indian guests sightsaw Alaverdi Monastry, Tsinandali Museum, Svetitskhoveli Cathedral and other monuments of Georgian culture. Organizing of such tours facilitates popularization of Georgian culture, wine and cousin worldwide and supports gaining of new export markets. 02.07.2012. Georgia has started procedures for registering Georgian indications of origin in China. At the first stage, Georgian wine and mineral waters indications of origin will be registered, later Georgian cheese and agriculture products indications will be also registered, Sakpatenti, the national intellectual property center of Georgia says. Last week Sakpatenti and Trademarks Service of China concluded an agreement. The Chinese Government shows readiness to provide overall support to the process. 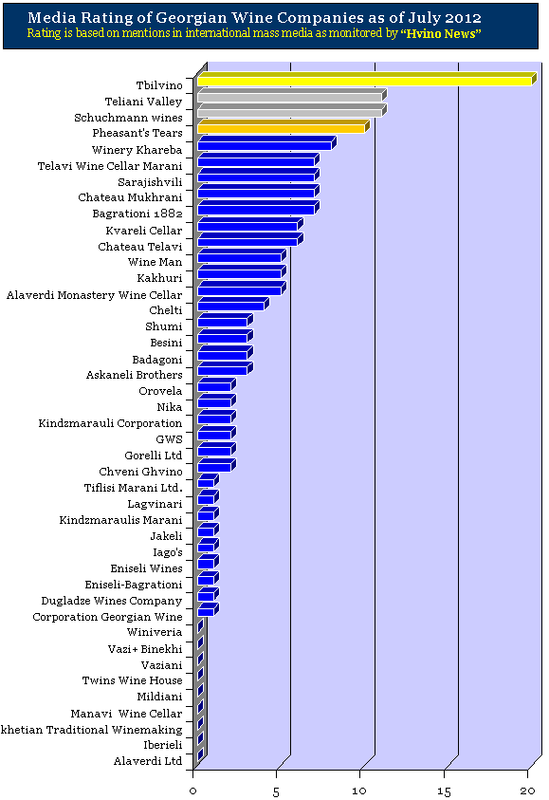 It is worth noting the European Union (EU) has already registered 18 indications of origins of the Georgian wines: Ateni, Akhasheni, Tsinandali, Gurjaani, Kardenakhi, Kakheti, Kotekhi, Kvareli, Manavi, Mukuzani, Napareuli, Kindzmarauli, Sviri, Teliani, Tibaani, Tvishi, Vazisubani and Khvanchkara.